The International Foundation for Integrated Care is delighted to introduce Webinars Series 3: in collaboration with IFIC Scotland and IFIC Ireland on people-centred integrated care in practice. This series will have a particular focus on active and healthy ageing and preventing and managing frailty. The webinars will be hosted by IFIC Scotland and IFIC Ireland in partnership with the University of the West of Scotland, the Institute of Research and Innovation in Social Services, the Health and Social Care Alliance, and with ADVANTAGE Joint Action on the prevention and management of Frailty, co-funded by the European Union’s Health Programme. Each webinar will feature health and care practitioners with experience of implementing people-centred integrated care for older people. Presenters from around the world will offer evidence, personal insights, practical tips and peer support as part of IFIC’s global community of practice. Each webinar will extend IFIC’s on-line knowledge tree by collating resources related to the specific topic. Anne is a geriatrician, stroke physician and clinical lead for Integrated Care, has extensive experience of transforming health and social care for older people and adults with long term conditions across Scotland. As a Senior Fellow with the International Foundation for Integrated Care, Anne now promotes the adoption and spread of innovation and good practice on population based, people centred and integrated care and facilitates special interest groups on Intermediate care, complexity, and palliative care. Other work includes leadership development and knowledge exchange initiatives that link Scotland with other systems, participation in the European Innovation Partnership on Active and Healthy Ageing, and in Horizon 2020 funded research projects on chronic care and integrated care. Anne will lead the models of care Work Package in a new European Joint Action on Frailty. She is honorary professor at the University of the West of Scotland, holds honorary appointments with the University of Glasgow and the University of Edinburgh’s Global Health Academy, is a trustee for two national charities and Board member of the ALLIANCE Academy. Mandy is a registered nurse and an experienced innovator and change and improvement agent in health and social care across public, private and voluntary sectors. She supports the International Centre for Integrated Care as Senior Programme Manager for the European Joint Action on Frailty. 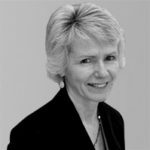 She previously worked as a leadership consultant with NHS Education for Scotland and established the national Leading Quality Network and national mentoring initiative. Her experience of managed clinical networks, QI collaboratives and leading a national cross sector improvement network developed skills to lead, manage and support transformational change. She is passionate about involving people, carers and service users to ensure their lived experience shapes new ways of working. 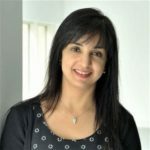 She is a (founding cohort) member of the Q Initiative, a UK-wide initiative led by the Health Foundation and supported and co-funded by NHS Improvement. As Programme Manager of the Self Management and Co-production Hub, Sara coordinate the ALLIANCE’s work to develop, deliver and evaluate a high quality programme of work to support the development and embedding of person centred approaches and third sector involvement within the planning and delivery of health, social care, and integrated services across Scotland. Central to this is ensuring a strong voice for disabled people, people living with long term conditions and unpaid carers. Sara’s work spans a broad agenda, including health and social care integration, self management, health literacy and Scotland’s House of Care. Before joining the ALLIANCE, Sara worked within Scottish Government as a social researcher supporting the Equality Unit alongside working with a variety of third sector organisations. Sinead is the Regional ICP Business Manager in the Directorate of Integrated Care at the Health and Social Care Board in Northern Ireland. Master’s Degree in Health Psychology and has worked in the area of health and social care for the last 15 years, primarily in service improvement roles both in the voluntary sector and in the statutory sector. Currently works for the Northern Ireland Health and Social Care Board in the area of Integrated Care and particularly the establishment of Integrated Care Partnerships (ICPs). Sinead has a particular interest in collaborative working co-production and self-management. Claire is Strategic Head of Community and Chronic Conditions Management. Claire is currently the Strategic Head of Community and Chronic Conditions Management in Hywel Dda University Health Board responsible for the strategic implementation of the Chronic Conditions Programme and leads and co-ordinates a range of activities that promote excellence in chronic conditions management practice through utilization of evidence and research. This requires Claire to manage on behalf of the Director of Primary, Community and Long Term Care a range of programmes including diabetes care, respiratory care, Technology Enabled Care and supporting projects to address commissioning, performance and services for chronic conditions management. Claire is also operationally responsible for the Hywel Dda Home Oxygen Service and the Education Programme for Patients and a Bevan Exemplar. Dr Derick Mitchell is the Chief Executive of IPPOSI. Derick has over ten years’ experience of working in patient engagement, scientific communications, multi-stakeholder management and advocacy at both the national and European level. Derick leads IPPOSI’s participation in EUPATI – a unique initiative to develop an EU-wide Patient Training Academy. He is also a member of a number of national committees including the eHealth Ireland committee, the Medical and Life Sciences Committee of the Royal Irish Academy as well as the oversight group on implementation of the National Rare Disease Plan for Ireland. Derick has a PhD in Molecular Medicine from University College Dublin, as well as a BSc in Biotechnology from NUI Galway. Head of Effective Prescribing and Therapeutics, Scottish Government & previously Deputy Chief Pharmacist for Scotland. EU project coordinator for SIMPATHY, EIP AHA A1 action group coordinator for polypharmacy and prescription, and WHO lead for Polypharmacy for the Third Patient Safety Challenge, National Scottish lead for polypharmacy and Patient Safety Quality and Scottish Quality and Improvement Fellow. In March 2012, Carmel was appointed as one of the first of five consultant pharmacist posts within NI. Since then she has implemented and evaluated innovative pharmacy models focusing on medicines optimisation for Older People. She currently sits as a member of the Joint Formulary Committee of the BNF, NI Regional Formulary Group, Parkinson’s Expert Reference Group, Regional Inpatient Falls Prevention Group, Northern Ireland Frailty Network and is involved with research in the area of Dementia and medicines management. Carmel also works with education, regulatory and professional bodies to promote pharmacy development and is founder of the NI pharmacists working with Older People (NIPOP) Network. My current role involves leading on the redesign of pharmacy services which includes developing and implementing procedures for new ways of working to ensure efficient practice, patient safety and service improvements for patient. I am currently leading the redesign to the care of the elderly pharmacy services. This encompasses pharmacy services in the hospital, care homes, care at home and integrated care services with links to community pharmacists too. I am a qualified pharmacist independent prescriber and I work clinical sessions in the Emergency Department, University Hospital Crosshouse. I received an ABPI Pharmacy award in 2006 for innovative pharmaceutical care provision in a Clinical Decisions Unit. I am a fellow of the Scottish Patient Safety Programme (Cohort 2). I completed a Doctorate of Professional Practice from Robert Gordon University in 2016. My research assessed the impact of implementation of a hospital electronic prescribing and medicines administration (HEPMA) system specifically focusing on discharge communication and prescribing errors. I am a Scottish Pharmacy Clinical Leadership Fellow (2018-2019) with a remit for integration of pharmacy services. Pharmacist (Salamanca University, 2009). Specialist in Hospital Pharmacy (Virgen del Rocío University Hospital, Sevilla, 2015), having received the Best Resident Prize of its year. Board Certified Pharmacotherapy Specialist (American Pharmacist Association), master´s degree in Pharmacoeconomics (Granada University) and postgraduate diploma on Health Technologies Assessment by the University Pompeu Fabra, Barcelona. Currently he works at the Pharmacy Service of Consorci Hospitalari de Vic (Barcelona), being responsible for providing pharmaceutical care to patients with multimorbidity in an intermediate care centre and a nursing home centre dependents of Vic General Hospital. His main lines of work and research are specially focused on design and implementation of strategies for improving effective prescribing and medication adherence in patients with multimorbidity. Dr. Lisa Garland Baird works and lives with her family in Prince Edward Island, Canada. She is a Registered Nurse who practiced as a home care nurse for fourteen years, providing direct nursing and palliative care, and in the development and implementation of home care nursing policies and programs in PEI. Concurrently, she was a nurse educator at the University of Prince Edward Island Faculty of Nursing teaching community health nursing and population health in both the classroom and clinical settings. Dr. Garland Baird is currently employed with the Canadian federal government at Veterans Affairs Canada (VAC), where she is the national manager of a research and analytic unit exploring client experiences and outcomes to improve VAC’s national programs and policies for Veterans. She received her PhD in Nursing from the University of Alberta, Edmonton, Alberta in 2018. Her dissertation research explored home care case managers’ integrated care of older adults with multiple chronic conditions in PEI. She received additional research training as a Trans-disciplinary Understanding in Training on Research (TUTOR) Fellow (2016-2017), and a CIHR Community-Based Primary Health Care Research Trainee with the McMaster University Aging, Community and Health Research Unit (2013-2018). She received integrated care training from the International Foundation of Integrated Care’s Integrated Summer School on Integrated Care (2017) along with Dr. Giovanna Cruz! She is a co-primary investigator with Dr. Grace Warner, Dalhousie University, Nova Scotia, Canada on a Canadian Institutes for Health Research (CIHR) funded Strategies for Patient Oriented Research (SPOR) Realist Review. Her presentation today will focus on this cross provincial research that is exploring the use of case management in primary care as a mechanism to link formal and informal health and social services for patients and family members in end of life care. Susanne Gray trained as a nurse in Romford, Essex. After a period working in the hospital where she trained and then in her first community nurse post in South London, Susanne returned to Scotland in 1994, working as a community nurse in a variety of areas in Glasgow most notable Possil Park. During this time she completed a post graduate diploma in cancer nursing at Glasgow University. She became a Palliative Care Clinical Nurse Specialist in the community in NHS Lanarkshire in 1997 and stayed there until 2009. During this time she completed a master of nursing degree at Glasgow University and played a lead role in the development of the Lanarkshire Palliative Care Assessment Tool. Susanne moved to NHS Greater Glasgow and Clyde in 2009 to take up a role in Renfrewshire Health and Social Care Partnership. The emphasis within this role, which is Susanne’s current role, is service development and continuous improvement in community palliative care. Developments that Susanne has led on to date include introduction of Macmillan cancer information and support services based within libraries in Renfrewshire, the community palliative care kardex and most recently a redesign of community palliative care. Inés García-Sánchez studied Medicine at the Public University in Madrid, Spain. She has a degree in Public Health from Spain’s Ministry of Education. She received postgraduate training in Public Health at the London School of Hygiene and Tropical Medicine in London, UK, and at the Centre for Disease Control in Atlanta, USA. She worked as primary health care physician for five years in Spain for the National Health Service in Madrid, and then moved to primary health care planning and public health for 10 years in Andalucía. From there she has worked for the Regional Health Government in Andalucía, Spain, for over 15 years, as main researcher and coordinator for several health projects at European level. From 2012-2016 she worked as an European Commission Policy Officer for the Innovation and Health and Consumers Unit at DG Health and Consumer, which lead the European Innovation Partnership on Healthy and Active Ageing. She coordinated the Action Group on prevention of frailty. From 2017 she has worked as the ADVANTAGE JA Deputy Coordinator. PJ Harnett has worked in a variety of roles in healthcare over the past 34 years before becoming the National Programme Manager for the Integrated Care Programme Older Persons. This included working in clinical practice, senior managerial and service improvement and development roles locally and nationally. Originally qualifying as a Mental Health Nurse he holds a Masters in Nursing, Masters in Healthcare Management and is currently undertaking a PhD in implementation of change in Healthcare systems with a specific focus on integrated care. Mirca has 25 years of work experience in the design, implementation and evaluation of European and International programmes/projects on Health, Social and Governance Issues. 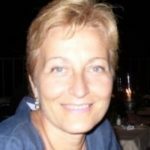 She is collaborating with the Public Health Agency of the Emilia Romagna Region, providing technical assistance for the design and implementation of European projects, including the Joint Action on Frailty-Advantage and the coordination of the Sunfrail project on Frailty and Multimorbidity. For the European Commission (DG Santé), she’s providing technical support for the design and implementation of the EU Joint Action Chrodis Plus on Chronic Diseases. She also has worked with other Italian Region on the design and implementation of regional health and social services and with Formez PA and the Italian Ministry of Health, providing technical assistance and training on Public Health Services planning, monitoring and evaluation. For the European Commission she has collaborated as Health Expert for strategic planning in Primary Health Care, Reproductive Health and Hospital sector development, and as Expert Evaluator of Project Proposals in the field of Public Health, Chronic/Non-Communicable Diseases, Sexual Reproductive Health Rights and Governance. As a health services researcher and implementation scientist, she designs and studies new models of care to prevent functional decline particularly after an injury or hospitalization for an acute event or surgery. She deeply values interdisciplinary team science and enjoys building networks of partners to spread and scale effective interventions. Emma has worked for NHS Ayrshire and Arran as a Physiotherapist for 12 years in a variety of teams and settings, moving into a Leadership role 5 years ago as Team Leader for Intermediate Care and Enablement Services. Emma’s current role as Service Manager for Intermediate Care and Rehabilitation Services for the North Ayrshire Health and Social care Partnership was a natural progression from that post. Emma is passionate about improving how we support people to be as healthy and independent as they can be and empower them to take control of how we interact with them wherever possible. In 2016, Emma completed a Masters in Research, and her thesis entitled “Exploring the Construct of Healthcare Expectations” further developed her interest in how practitioners have conversations about patient expectations. Áine is Professor of Healthcare Integration and Improvement at University College Dublin and a Consultant in Rehabilitation Medicine at the National Rehabilitation Hospital in Dublin. She is co-Director of IFIC Ireland and a Senior Associate of IFIC. Prior to this, she was National Director of the Clinical Strategy and Programmes Division in the Health Services Executive. During her tenure, Professor Carroll established the Integrated Care Programmes for older persons, chronic disease, children and patient flow to promote coordinated care and team work across services and specialties, ensuring that care is provided effectively and seamlessly to patients as they move through the system. Áine is acknowledged Internationally for her expertise in large-scale change and implementation. An experienced Improvement advisor, she has provided advice, guidance and training on quality improvement and change to leaders of healthcare systems across the world. She is passionate about Person Centred Coordinated Care and Implementation Science. Marianne is Development Officer within the Self Management Team and the Health and Social Care Alliance Scotland. Marianne works to support increased knowledge and sustain good practice about self management across health, social care and the 3rd sector. Supporting the spread of social innovation approaches to influence service redesign and change and working in partnership with key stakeholders to spread self management approaches. Michelle is a Research Scientist in the Collaboratory for Research and Innovation (Sinai Health System) & Assistant Professor, IHPME, University of Toronto. Her research focuses on the organization and delivery of patient/family centred rehabilitation and community reintegration services. She leads the IFIC Special Interest Group ‘ Partnering with Volunteers and the Voluntary Sector for Integrated Care’. Sarah manages the Health and Social Care Academy a programme of the Health and Social Care Alliance Scotland, which works with people who use health and social care services to influence positive and significant change. The Academy provides a space for radical and emergent ideas and looks at relational, rather than organisational aspects of change. Sarah is passionate about social change and was involved in promoting the recovery agenda for substance misuse in the Scottish Government and developing the understanding of the wider community around issues associated with homelessness and social exclusion whilst working at Cyrenians. She is a strong advocate of being led by the voice of lived experience and believes in social enterprise as a business model to promote sustainability and social impact. Uxío Meis is researcher and project manager at ACRA, focusing his research in long-term care needs, health policy planification and health economics. Uxío holds a BA in Political Science at University of Santiago de Compostela and a Master’s in Public Policy at Universität Pompeu Fabra in Barcelona. Before joining ACRA, he was researcher in the Centre for Research in Health and Economics of the Universität Pompeu Fabra in Barcelona carrying projects of pharma economics and long-term care needs.